Think about your city. What if the needs of young children and their caregivers were prioritised (not just considered) in city decision making? How would it look different from what it is today? Decades of city planning that has prioritised car mobility over the health and happiness of people has created built environments that are often hostile to young children and their caregivers. Cracks in a sidewalk, long wait times for buses, or streets without benches are inconvenient for everyone, but can severely limit the freedom of mobility for young children, caregivers with strollers, or older adults with mobility devices. Similarly, a lack of good public spaces and gathering places limits opportunities for connection and can increase social isolation (a significant problem among older adults and first time parents). 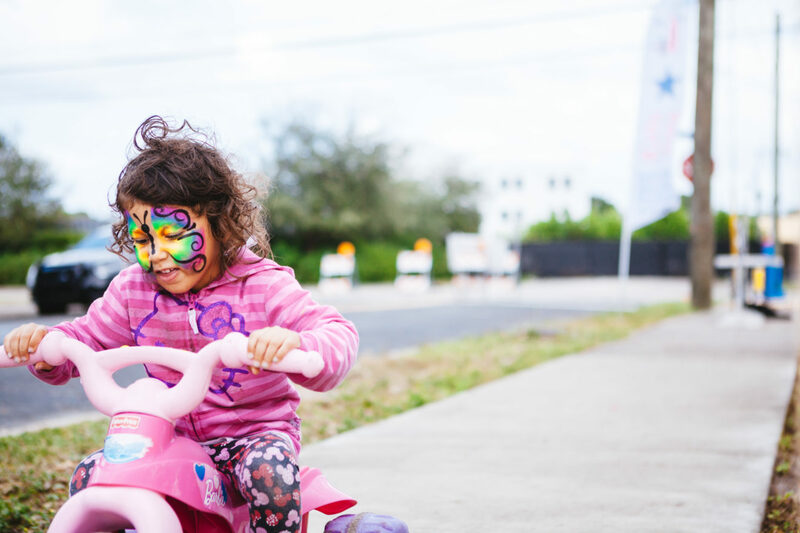 When we create streets that are safe for children to toddle, walk, bike, skip, or pause to explore we create a public asset that works for all residents. When we create parks and public spaces that are inviting for young children and their caregivers, we not only provide direct health benefits to those users, but we improve the overall quality of life for all people living in the city. How can our cities do better? How can we plan, design, build, manage, and govern our cities so that their youngest citizens can thrive and meet their full potential? One very simple step is to give them the opportunity to participate and be heard. At 8 80 Cities, we wanted to understand how cities around the world are tackling this challenge to ensure the voices of young children and caregivers are represented in their city-building processes. Through our own work as community engagement specialists, we know there is a critical gap in knowledge and research on these topics. 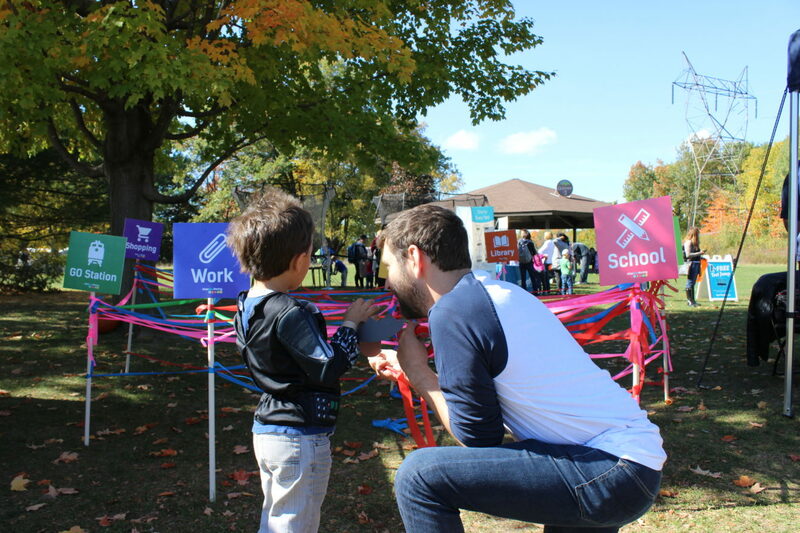 Partnering with the Bernard van Leer Foundation earlier this year, we set out to find cities and communities that are leading the charge when it comes to engaging young children and caregivers. After all, research tells us that experiences in the earliest years of life have the most profound effect on a person’s long-term healthy development. We compiled background research and conducted interviews with leading practitioners in the field. We uncovered stories and ideas from cities around the world that demonstrate creative and effective methods for engaging pregnant women, young children, and caregivers in diverse projects related to the built environment as well as for the delivery of services. With 21 case studies from 16 different countries, we were successful in identifying innovative and effective techniques for engaging this important but underrepresented demographic. While engagement of these groups is crucial, it is not a measure of success in and of itself. It’s what cities do with that engagement that counts. Engagement is a step in the process towards creating cities that work for everyone, including our youngest and most vulnerable. We were disappointed to find that that there were no model cities embedding the larger principles of inclusive civic engagement and the perspectives of young children and their caregivers into broader decision-making processes. No matter how innovative or successful the case studies are, the impact they had was limited to the scope of whatever project they were a part of. They are inspiring and effective examples that other cities can and should learn from, but they are not scaled to the needs and pressures that cities face today. This report is a starting point, an important reminder of how far we still need to go. Since most children on this planet are now living in cities, isn’t it time we give them a voice in shaping the cities they want to grow up in? Author: Amanda O’Rourke is Executive Director of 8 80 Cities, a not for profit organization based in Toronto Canada. The organization was created based on the simple but powerful concept that if cities are planned, built, and managed thinking of the needs of an 8-year old and an 80-year old, then they will be great for all people. Amanda was a key architect of the 8 80 concept, and has held several positions within the organization since 2007. She has been a key driving force in the development and growth of 8 80 Cities and has worked on numerous projects related to parks, public spaces, and sustainable transportation in North America, Europe, Mexico, and Australia. 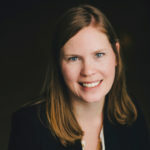 Amanda holds a Master’s of Science in Planning from the University of Toronto, and a Bachelor of Science in Environmental Biology from Queen’s University. She is also currently Co-Chair of the Children, Play, and Nature Committee for World Urban Parks. She loves being a momma to three small kids, is an eternal optimist, and is passionate about transforming cities into great places for all people.